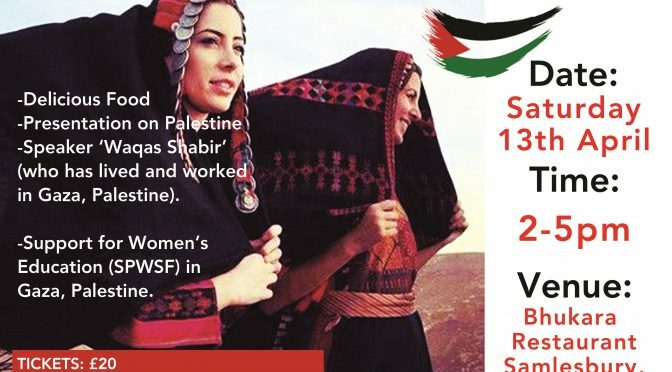 Fundraiser for Palestine on April 13th in Samlesbury, all proceeds go to Saddleworth Palestine Women’s Scholarship Fund (SPWSF) for women in Gaza to go to university. – Speaker ‘Waqas Shabir’ (who has lived and worked in Gaza, Palestine). If you would like to attend, please contact Joy (joyciebishop@hotmail.com).